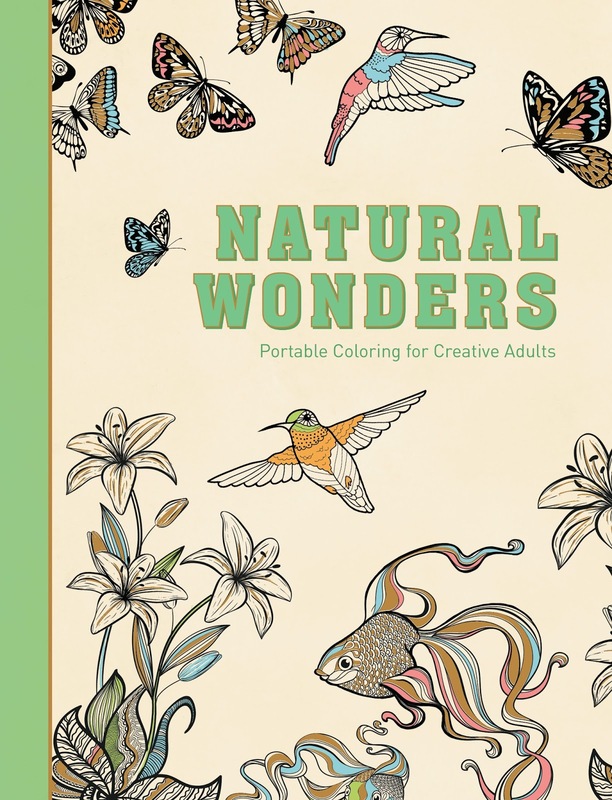 We spend a lot of time making art and crafting at home so when Skyhorse Publishing reached out me to try their new series of coloring books for grown-ups, I didn't hesitate to say yes. I even bought my own set of colored pencils. This was unnecessary. I had forgotten about Fiver's set of Prismacolor pencils. These pencils are smooth and soft which makes it easier to color larger sections of white space, but because they are soft, these pencils are not the most effective for detail work. The richness of the colors makes up for this shortcoming. I have ordered Sharpie fine point markers to use for image details. 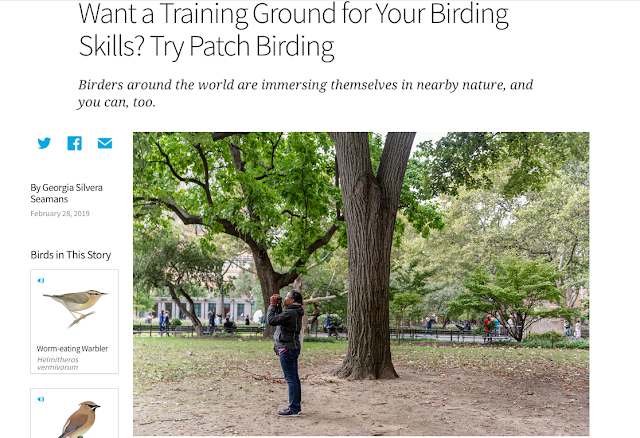 I selected Natural Wonders and Flying Wonders because the titles fit the content of this blog. There are many wonderful images to color. I've been working on a highly stylized ostrich feather in Natural Wonders and a songbird, which might be a chickadee, in Flying Wonders. Not all the patterns directly relate to the book titles. For example, tea cups, rabbits, garden tools, and frogs are pictured in Flying Wonders. By virtue of the its title Natural Wonders has a broader scope but it too has images that are not thematic (unicorns). The coloring books are well designed. They look like artists' sketchpads. Each one is hard cover. The color of the spine matches the color of the end papers. You can almost lay the book flat. It doesn't seem like you can break the spine but a spiral/coil/wire binding would make it easier to use and to travel with the book. The books' introduction give creative license to the colorist negating the common refrain from school days: "There is no need to color within the lines if you don't want to." I would have liked to read a different introduction to each book. The introduction could be more tailored to the theme of each book. The act of coloring has been enjoyable. It is physically relaxing and mentally refreshing to choose an image with lots of detail or minimal detail; to select the palette of colors; to start at the beginning of the book, or closer to the end. 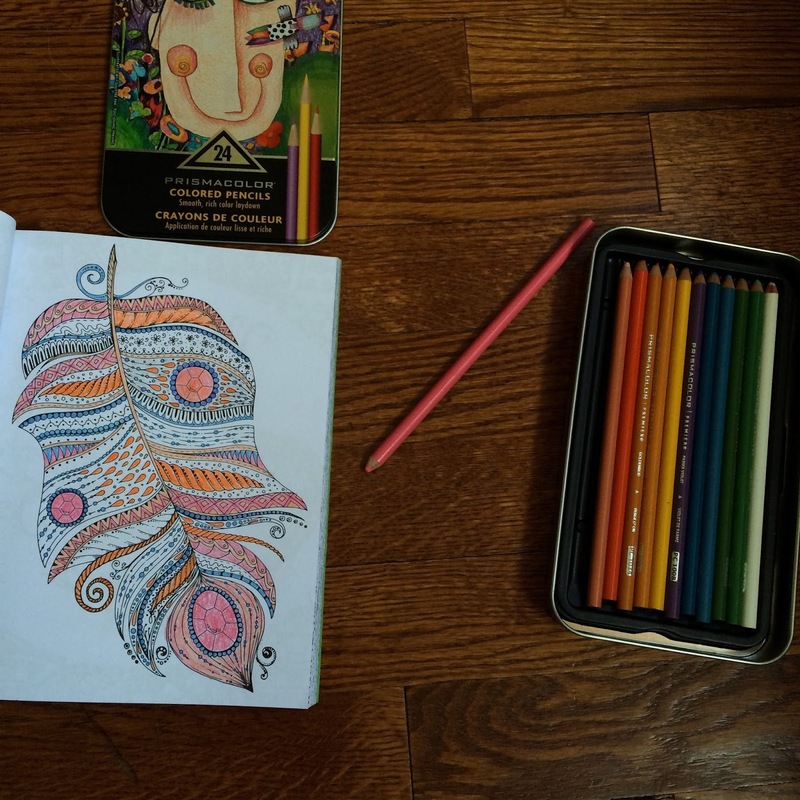 Do you color on your own? Try one of the Skyhorse Publishing coloring books for adults. You can download a free page! 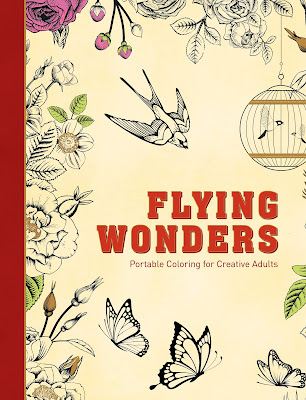 Skyhorse Publishing has generously provided four coloring pages, two each from Flying Wonders and Natural Wonders. Download and enjoy: Flying Wonders 16, Flying Wonders 18; Natural Wonders 7, Natural Wonders 19. Coloring books c/o Skyhorse Publishing. P.S. Check out the Tinkersketch daily sketchbook challenge. Tinkerlab offers a new challenge every month.